BloomsLate spring to early summer. Soil RequirementsWell-drained, moist, fertile soil. PruningAllow foliage to die back. 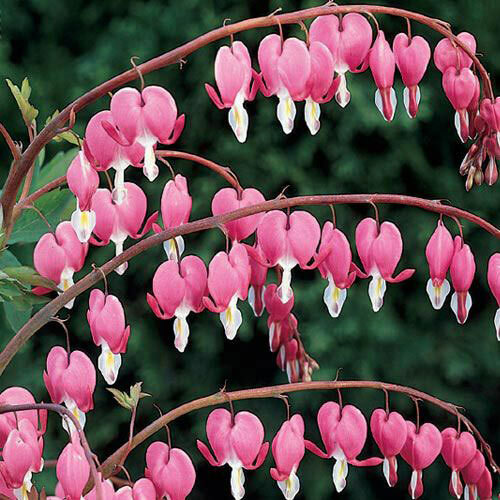 CommentsLovely, heart-shaped pendant flowers. 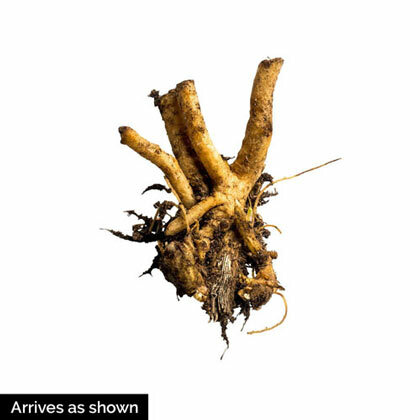 Ideal for inter-planting with spring bulbs such as daffodils, as they will hide their dying foliage. Great combination with ferns and hostas in the shade or woodland gardens. DepthPlant crown 2 - 3 inches below soil surface.